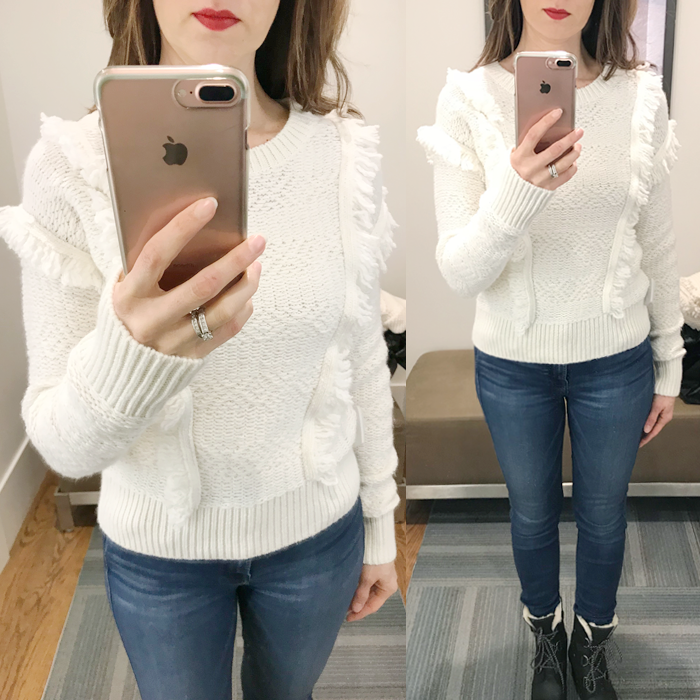 *Note on sizing - I typically wear an XS or Small in sweaters, and I sized up to a Medium in this one. I think it runs a little small. Note on sizing: I am wearing a Small in this picture. 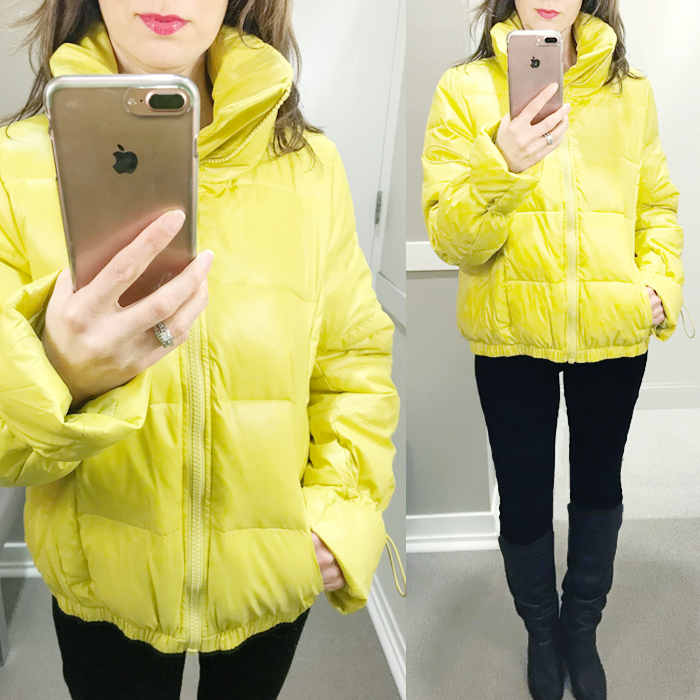 Note on sizing: I am wearing a Medium in this coat. I definitely could have gone a little smaller and still worn a heavy sweater underneath. 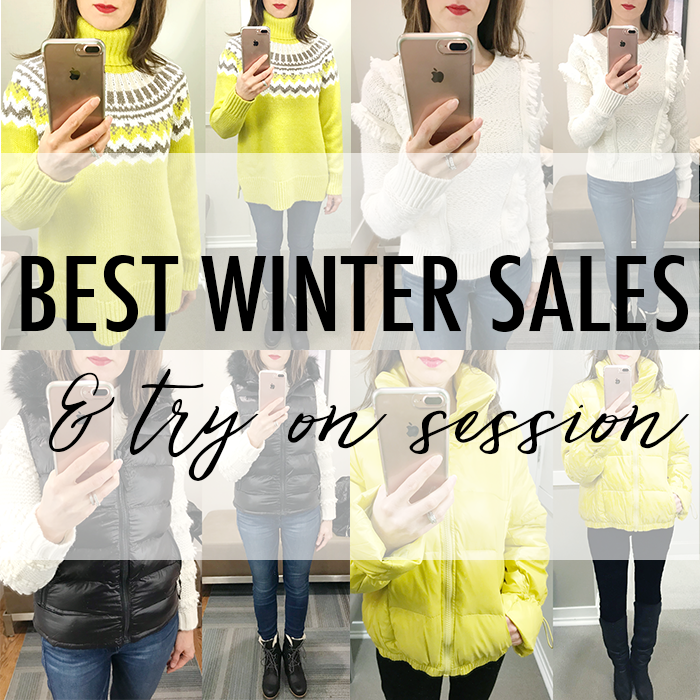 Winter sales are still going strong - but if you have been thinking about buying something - you might want to act soon because the availability of items is starting to become very limited. 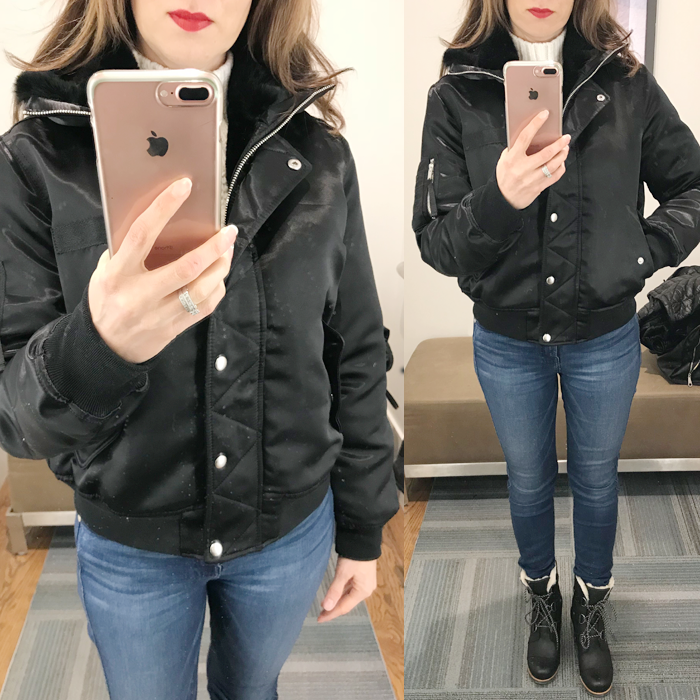 Some of my favorite winter things - like this faux fur bomber jacket is still available in both colors - and all sizes - and I highly recommend it. 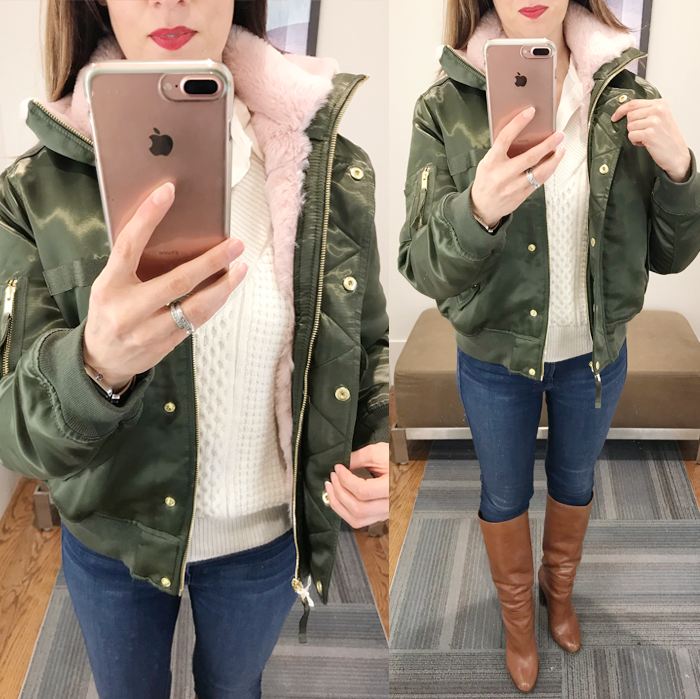 I didn’t think I would like the pink faux fur with the green - but I really do! 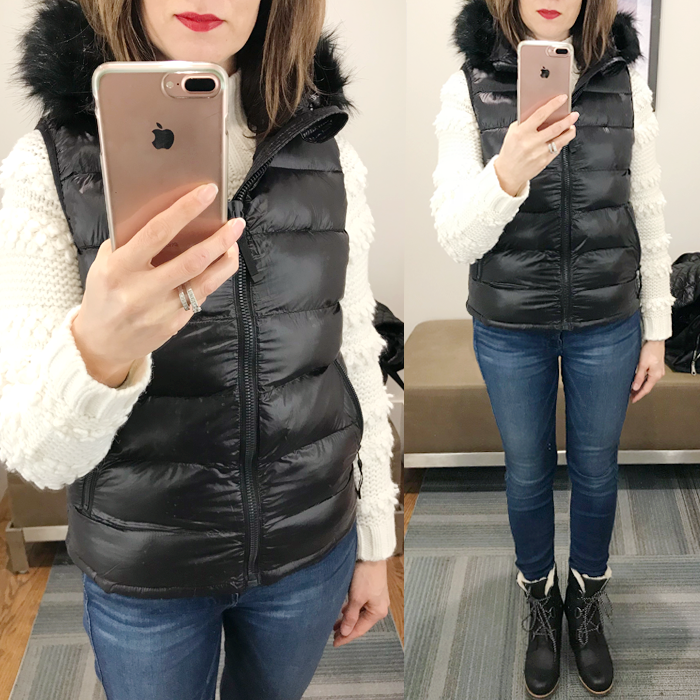 It definitely looks more expensive than what it costs - and based on the fashion shows - faux fur is still trending strong. 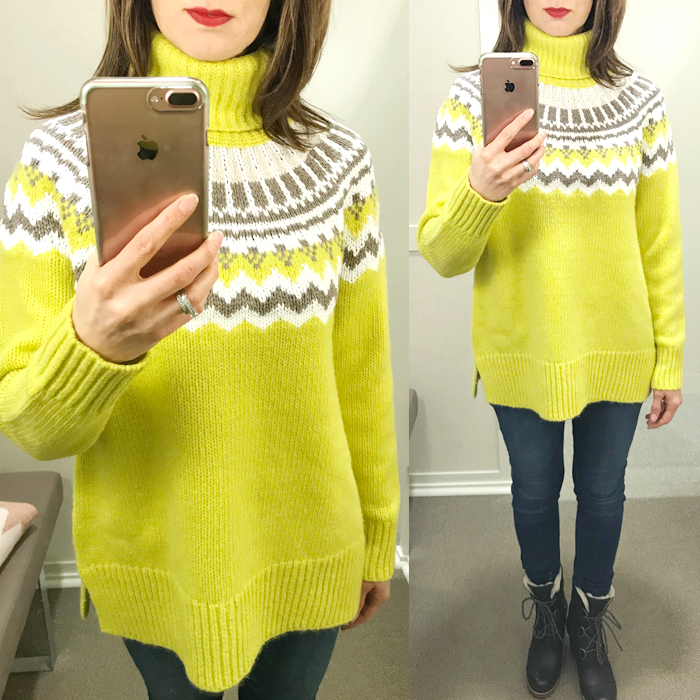 Also, if you liked that yellow fair isle sweater - it is available again in almost all sizes - and it’s a great price, too! I also love that fringe sweater. There is also an updated version for spring. This cold shoulder ruffle sweater - in a rich purple color (and also a beige) is on sale for $18. I like the knit sweater in “rose dust” that is on sale for $21. This cozy “hoodie” cardigan is on sale for $42. This soft mohair sweater with balloon sleeves is on sale for $25. This orange sweater poncho - looks warm and would definitely make a statement, plus is on major sale. This belted cardigan is on sale for under $25. This red dress with flare sleeves is on sale for $20. These suede ankle booties are 50% off - and come in four colors. These “dressy” green cargo pants are on sale for $15. This pretty pink floral print swing dress is on sale for $15. You look amazing!! Such a great ideas dear!!! Happy Valentine’s Day beautiful friend!